Turkmenistan is an interesting case, nearly 5 million inhabitants, 98% Muslim, in the former Soviet space, on the Caspian, and ruled by perhaps the most bizarre and repressive dictator in the region. And yet it is a nation remarkably undisturbed by the democracy guerillas that had struck further west in Georgia and Ukraine, an ambiguous “revolution” as per Kyrgyzstan’s “tulip Revolution,” or Andijan-style unrest as happened further east. It is the calm at the eye of the Central Asian storm. Like Nazarbayev in Kazakhstan, Turkmenbashi has instead focused on apolitical pipeline diplomacy, since independence encouraging foreign investment in its oil and gas reserves. Niyazov works with everybody, West and East, boasting huge deals with Russia’s Gazprom, planning pipeline to China, and hoping for Western sponsored paths south through Afghanistan. The city of Krasnovodsk on the Caspian coast was named in 1993 “Turkmenbashi” after the President and served as the oil hub, commercial capital, and center of ego for the country. While cooperative with western economies, Niyazov is not the model of a democratic leader by a long shot, with arguably the worst record on democracy is in the region. 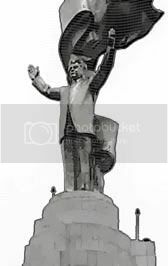 The city naming is a telling sign of what most observers agree is Niyazov’s cult of personality; in the manner of Stalin or Hussein he has monuments and portraits of himself erected everywhere to remind citizens of their beneficent ruler. Thus Turkmenistan has avoided the destabilizing aspects of divisive politics and continues to provide a perfect totalitarian state with its enforced stability, everything the West claims to be against. Indeed, the US State Department and the rest admit the truth of Niyazov’s regime – Freedom House, banned from the country, listed it in 2005 as "not free," noting "Turkmenistan remained one of the most repressive societies in the world” in 2005. 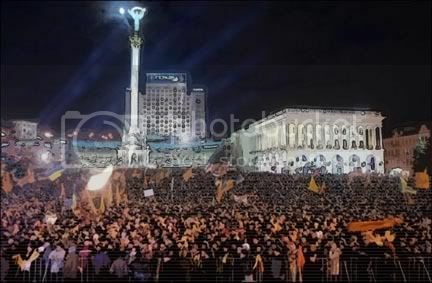 Yet we see no reports of real US aid to opposition parties, training of youth movements or the like – no Kostunica or Saakashvili reported here, no Otpor-Kmara-Pora-Zubr equivalent reported. After the worst of the afghan campaign passed in early 2002, it was reported that “with the demise of the Taliban, talk of a new pipeline has begun to resurface.”  But even as Niyazov rules undisturbed in dreamland, the TAP pipeline has still not come to fruition by late 2006, with a new insurgency in Afghanistan rivaling anything since the fall of the Taliban just as world oil prices surged and made the pipeline yet more desirable. ,  Rashid, Ahmed. "Taliban." 2001.